Le Vent du Nord are a traditional folk group if you’ve ever heard one. 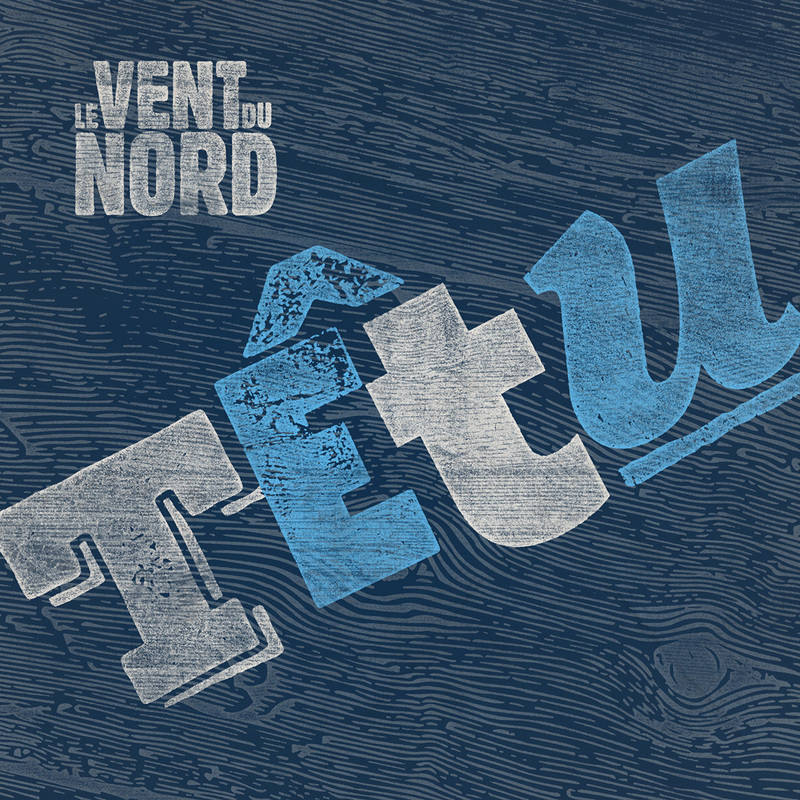 Têtu, the group’s eighth release, is a collection of songs both celebratory and melancholy. The foot-stomping revelry of songs like “Confédération” bring to mind the excessive and exuberant dancing that is wont to take place at such celebrations of French-Canadian culture as Festival du Voyageur. On the other hand, more reserved numbers such as the instrumental “Petit rêve IX” bring to mind more sombre imagery, like a lost explorer wandering forever and never knowing if he or she will return home. The album’s lyrics are sung entirely in French, so a listener completely unfamiliar with the language will inevitably turn to this kind of mental imagery in order to accurately convey the tone and emotion presented within each song. Thankfully, Le Vent du Nord have made this an easy thing to do. It’s as though the band was actively keeping non-Francophone listeners in mind, composing each song with a very deliberate emotion or feeling in mind. Le Vent du Nord employs a varied instrumentation throughout the release that ranges from folk staples like the fiddle, guitar, and piano to more niche instruments such as the hurdy gurdy, bouzouki, and “feet” (there’s a lot of stomping on this record). The arrangements themselves run the gamut from full instrumentation to completely a capella. Ultimately, this type of traditional/world music isn’t for everyone, but Le Vent du Nord performs it with enough finesse and compositional complexity for even the most passing fan to appreciate. Do you or your band have a new record out? Send all digital submissions/review requests to arts@themanitoban.com.